Wash the plantain and peel the skin.Cut the plantain into small pieces and add it into a bowl filled with water. 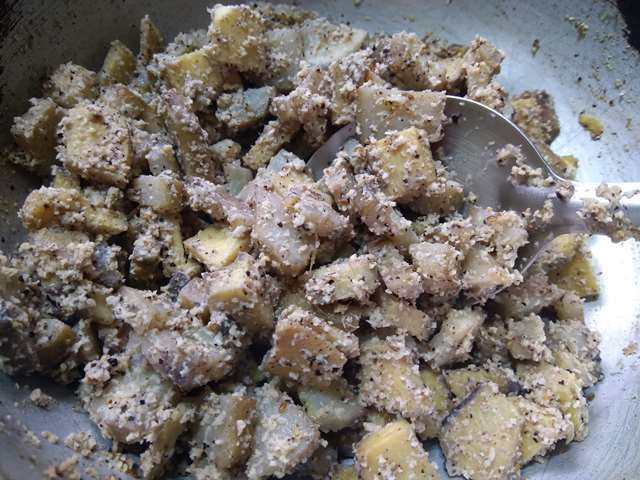 Similarly wash the yam well without any mud and peel the skin completely. 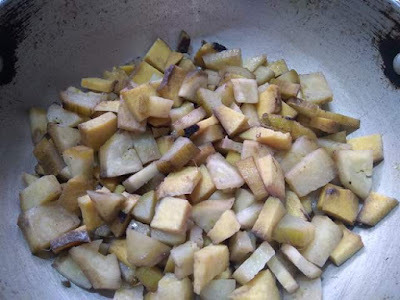 Cut them into small pieces and add it to the plantains. Add it to a wide kadai and pour 1 cup of water. Close it with a lid and cook the plantains and yam on medium heat, until soft. 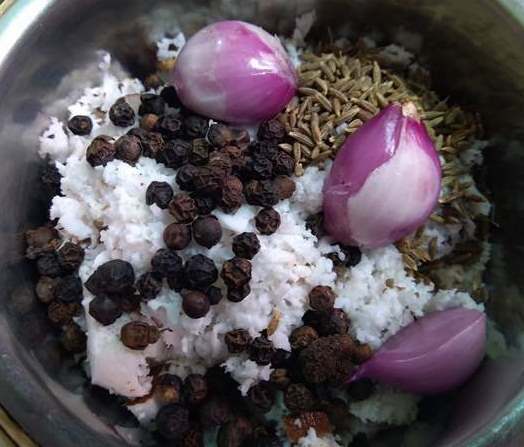 Take a small chutney jar and add the grated coconut, black peppercorns, cumins and small onions. 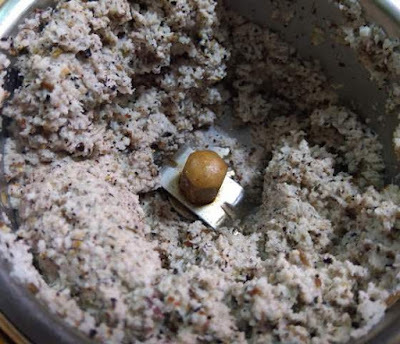 Add water and grind it nicely. 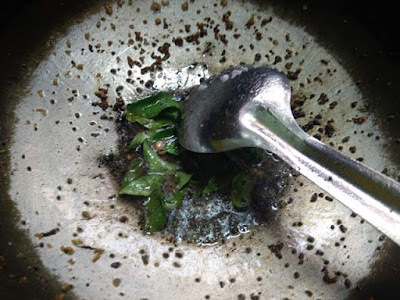 Open the kadai and check the vegetables are cooked well and add the ground coconut paste. 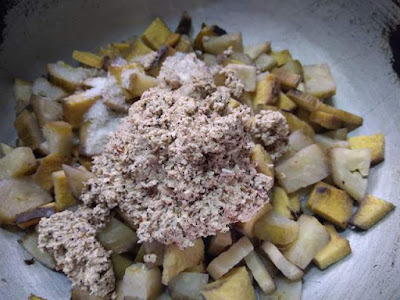 Add the required salt and mix it well. Stir and cook the curry on medium heat. Next, add the powdered jaggery and mix it well with the vegetables. Cook for a few more minutes and turn off the heat. 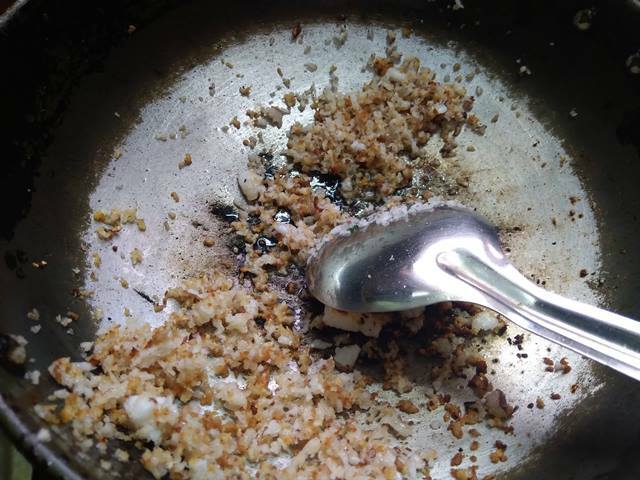 Heat 1 tbsp of coconut oil and fry the grated coconuts until brown. Add it to the eriseri and mix it well. 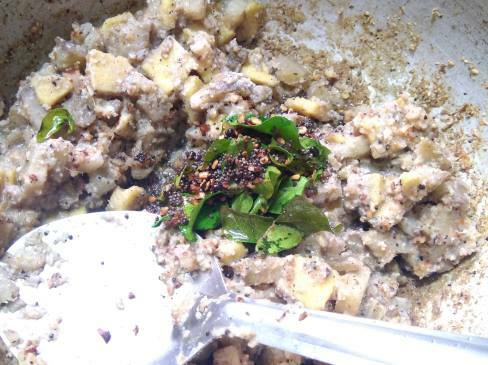 Heat the remaining coconut oil and add the mustard, split black urid dal and curry leaves. Allow them to crackle and add it to the eriseri and mix it well. 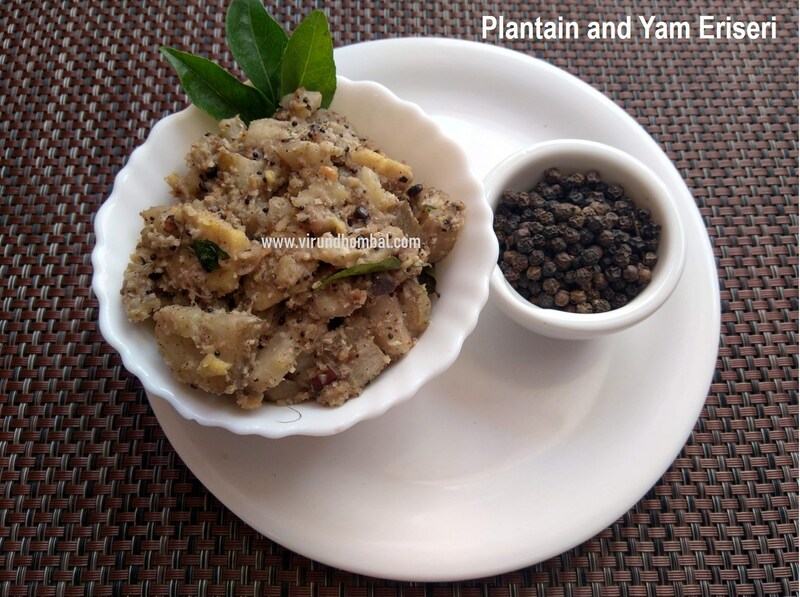 Tasty plantain and yam eriseri is ready to serve. 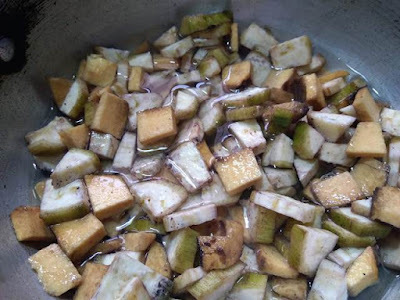 Take a small chutney jar and add the grated coconut, black pepper corns, cumins and small onions. Add water and grind it nicely. 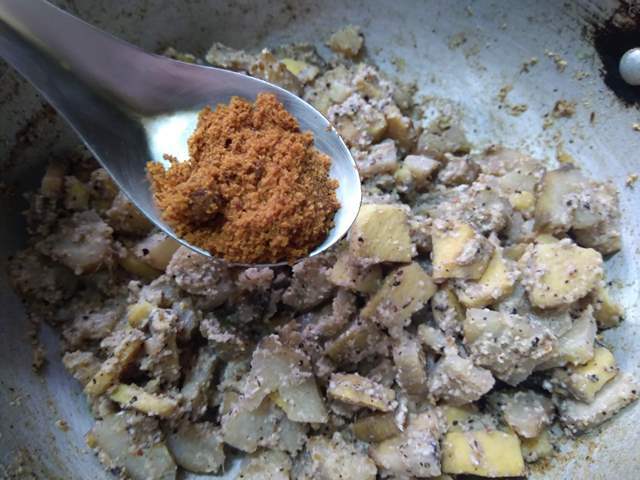 Heat the remaining coconut oil and add the mustard, split black urid dal and curry leaves. Allow them to crackle and add it to the eriseri and mix it well. Tasty plantain and yam eriseri is ready to serve.